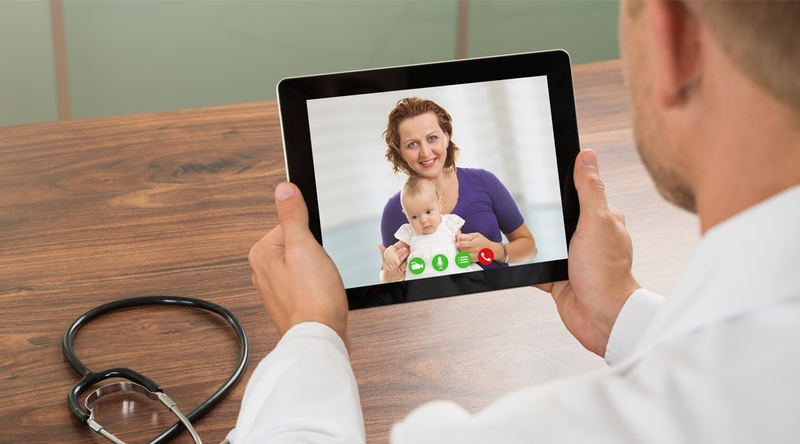 Along with many other aspects of telehealth, like remote patient monitoring (RPM) and mHealth, the virtual visit is becoming not just a familiar part of the American healthcare delivery, but also a means to significantly boost quality and cost-effectiveness. The process of utilizing consumer technology to allow patients to confer with physicians and clinicians via videoconferencing apps — usually on their (camera-enabled) smartphones and tablets, but also via traditional PCs — virtual visits aren’t just a trend, but “part of the shift toward making health care more convenient, and they’re already popular,” writes Heidi Godman at the Harvard Health Blog. Reduce costs caused by patients who would otherwise go to the emergency room “because they can’t get in to see a doctor,” as Ken Terry writes in Medical Economics. Increase access to care, helping to ease the effects of the physician shortage that’s gripping wide sections of the United States (particularly in rural areas). Improve chronic disease management, specifically by easing the process of “postsurgical follow-ups or for medication reconciliation after hospital discharge,” as Terry points out. Just as with other forms of telehealth, the widespread implementation of virtual visit technology faces a few regulatory hurdles. It’s not (yet) covered by Medicare. Yet, as Godman points out, that may not be a deterrent for many patients, since the cost of a virtual visit can still amount to less than the cost of the out-of-pocket co-payment required by Medicare for an in-person visit. It’s important to note that virtual visits are just one aspect of telehealth, and not intended to completely replace the existing care continuum. Godman notes that, while they’re not “meant to replace every trip to the doctor’s office,” they “may be a good option for minor, temporary problems such as cold and flu, sinusitis, a sore throat, rashes, diarrhea and vomiting, or conjunctivitis.” Virtual visits are also useful in chronic disease management, as noted above, offering a means for quick consultations without the need for traveling to and from the hospital. Interested in learning more about how virtual visit technology can help your organization meet its goals? Contact Care Innovations® to schedule a complimentary consultation with one of our telehealth experts.